Hey Mister, My Eyes Are Up Here! Do You Know Proper Flag Etiquette? What is better than free? The Free Press Versus Fake News: Should We Be Worried? This poem was written by my dear friend, Anne Voight, and she has it on her blog at www.homekeynotes.com. Enjoy! Autumn can best be described as a kaleidoscope of sights, sounds and smells. It is nature’s last hurrah before she climbs into bed covered with a white blanket of downy snow. Autumn is an array of colors in Mother Nature’s pallet of paints from the palest pinks to intense fiery oranges and reds. It is the faint rustle of leaves and the excited cheers of football fans. It is the smell of pumpkin pies and campfire smoke. It is the smoky taste of hot dogs and marshmallows toasted over a bonfire at a hayride. 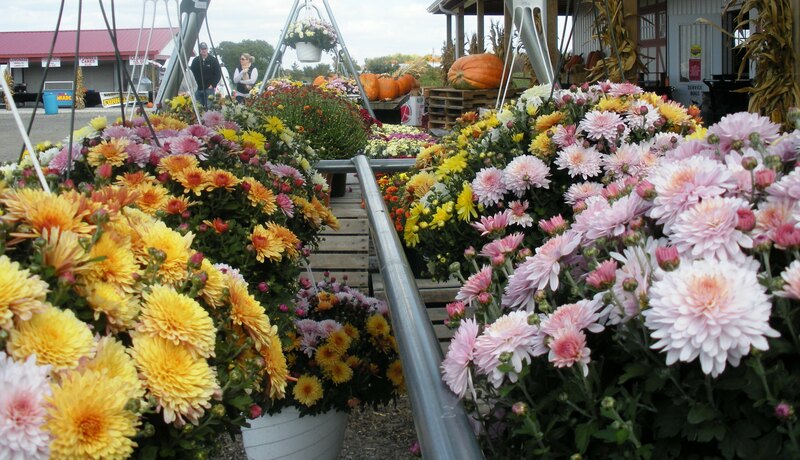 It is the sight of bright orange pumpkins and gleaming red apples at a roadside farm stand. It is hot cider and donuts. It is candy apples and candy corn. It is witches, brooms, black cats, and Halloween costumes. It is warm sunny days and cold frosty nights. Here in Ohio the farmers are busy harvesting the corn and soy beans and getting their king size pumpkins ready for the Circleville Pumpkin Festival. The houses are decorated for Halloween and if you look closely you might see a witch flying across the face of the moon. Yes, autumn is many things but it is also a very short season so get off the couch, shut off the computer and video games and come outside to play. Hurry before this beautiful parade passes you by. Fall is here and the farmers are busy bringing in the harvest before winter grabs us in his icy hands. Mother Nature has taken out her paint box and transformed the green leaves of summer into an autumn rainbow of golds, reds, and oranges. The cold, penetrating rains of fall have hit the Midwest and robbed the trees of most of their leaves. Like O. Henry’s The Last Leaf, I have often been tempted at this time of year to paint a single leaf on the wall opposite my window to give me hope during the long winter ahead. The warm days are quickly disappearing and the cold nights are lingering on way too long. Soon the world will be plunged into more darkness than daylight. The world is now full of pumpkins and apples and crisp fall days accompanied by the background music of swishing through the fallen leaves. The time is short so while we can let us pause and enjoy nature’s last encore. If I were to give each month a color, September would be gold. It is a golden month in many ways. Here in the Midwest the suffocating summer heat and humidity is finally gone leaving cool nights and warm autumn days. The scorching summer sun has slipped lower in the sky and now sits at such an angle that its rays stretch out over the landscape like golden fingers caressing an autumn bouquet. 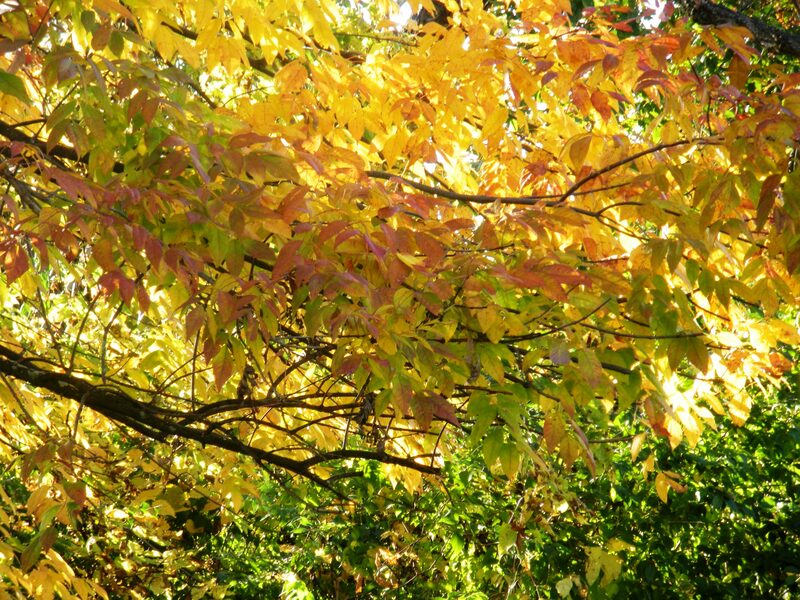 The chlorophyll in the leaves of trees and flowers is beginning to recede revealing golden yellow veins and membranes. The leaves of the ash trees are usually the first to turn and the first to loosen their grip and fall to the ground in a burst of golden rain with the first autumn storm. The summer crops of corn and soybeans are fading from green to gold before they enter their final phase of brown. The meadows and roadsides are filled with goldenrod and yellow asters and they wave at me in the breeze as my car rushes by. Nature is also beginning to redress her animals by changing the feathers of the wild canary or goldfinch from golden yellow to a more subtle shade of tarnished gold. The season’s new deer are losing their spots as they transform from fawns to full-fledged adults complete with new golden brown coats. All of this is nature’s way of telling us that summer’s party is coming to an end and it is time to prepare for winter’s icy vengeance. But before we enter that slippery slope of ice and sleet we should take time to soak in nature’s golden glow. King Midas was never as rich as the person who takes a moment to appreciate all the gold nature has to give. Powered by WordPress and WordPress Theme created with Artisteer by Rick Lakin.